Questions and Answers. The answers may or may not be accurate. I apologize for not responding sooner, but Formspring, the maker of the comment box on the right, didn’t notify me I had emails! *sigh* Apparently, this has been going on for a while with other members, too, and there is no plan to fix the issue. ??? Disclaimer: I make no promises about the accuracy of the following answers. Do not try this at home. Check with your physician before proceeding. Enter at your own risk. You must be 18 and this tall to ride this ride. Q 1. How tall are you? A. Moooooog35 is that you? I’m about 5’5″. Q 2. Hmm i wrote in this box, but don’t know where any reply might show, facebook? A. They don’t actually show up anywhere. 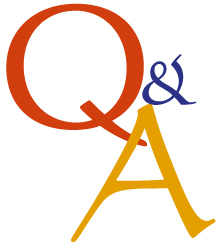 I will repost the questions and answer them here. Those are all the questions I got. Don’t you all want some more snarky dating advice? Well, I hope so because I’m working on the next round of tips. Feel free to send me questions.